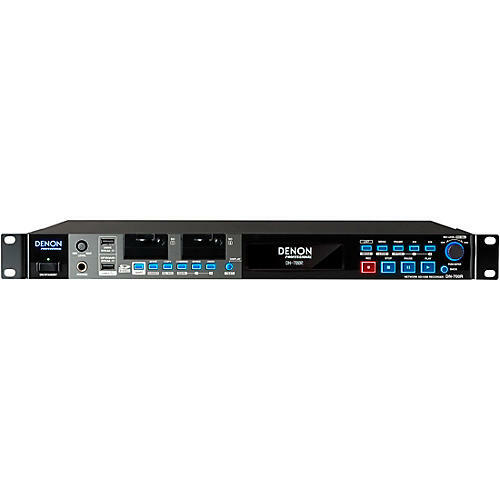 Designed for professional environments, the DN-700R features versatile connectivity including balanced XLR analogue audio and AES/EBU digital I/O, as well as unbalanced analog connections and SPDIF. A remote mic head amp is also available. The DN-700R can be controlled using a variety of remote control interfaces including Parallel GPIO, RS-232c and even a network using its built-in Web Remote. This web-based interface allows a user full control of the DN-700R from setup menus to transport control and hot start playback– even from mobile browsers. This provides complete access to the recorder located in remote areas and when the installation is not always easily accessible. Ideal for demanding installation applications—order today.